#StayWild Tip: Learn to recognize bird songs and add a whole new dimension to woodland wanders. In Callander where I work there is a terrific variety of habitats in whichever direction you go. Nestled below crags, mountains and woods, the town deserves its reputation as “Gateway to the National Park”. On my lunchtime walks I can find myself amongst woodland, on river banks, or in meadows – it just depends on which direction I go. For today I went out towards the meadow beside the river after a Hostel guest had told me that he had earlier spotted a barn owl above the fields earlier. 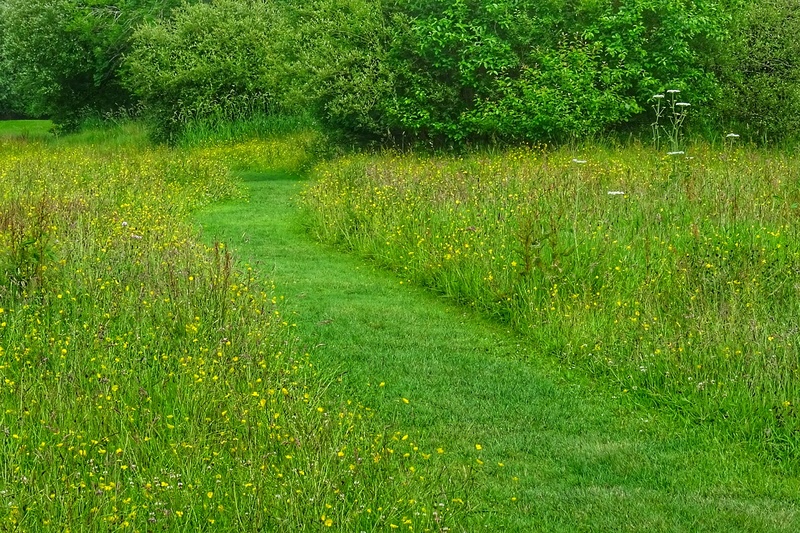 Callander Meadows offers a short, circular walk that links up with the longer National Cycle Route 7. 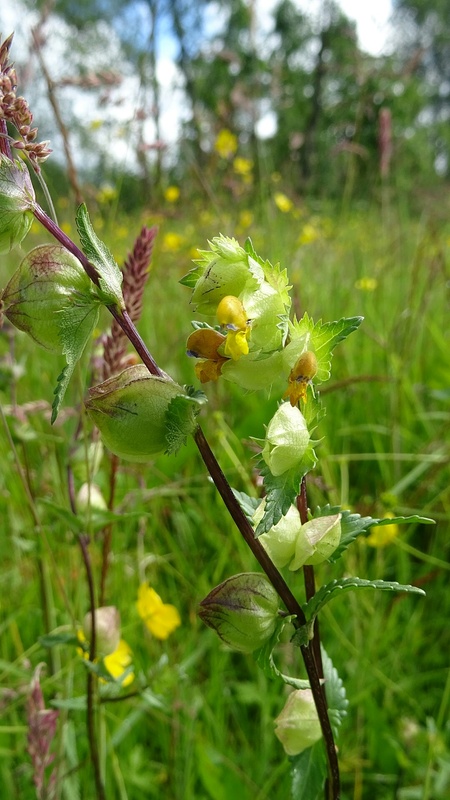 The Meadows themselves are carefully managed to provide excellent and varied habitats along the riverside. Wildflowers and grasses are allowed to flourish, and along with some lovely large lichen-adorned trees, many new trees have also been planted. While strolling along the bank I could hear a very quiet and soft piping sound from the undergrowth. I recognized the sound, but couldn’t remember what bird it belonged to. 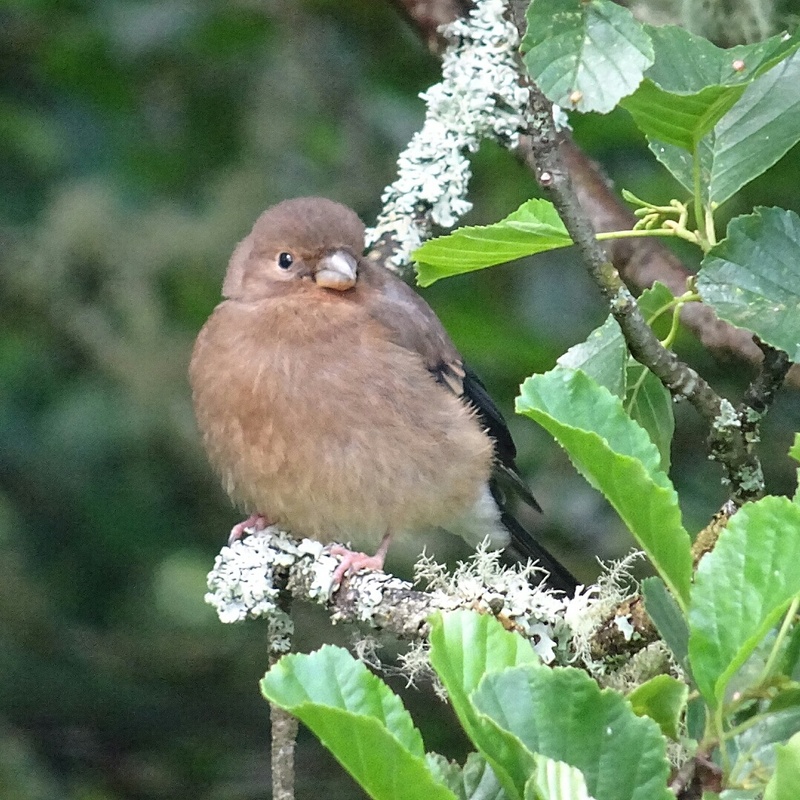 Standing still and patiently watching, I eventually spotted a group of bullfinches feeding – there were two adults and at least three or four youngsters. Some of the young were feeding on dock seeds, while others were waiting in the trees to be fed by the adults. I didn’t know that bullfinch adults develop a special pouch in their mouths to carry food to the young birds. I enjoyed watching this young bird apparently learning to forage on dock seeds.